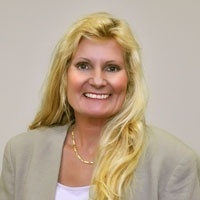 Julie McCarthy Decker | IMS Partners, Inc.
At IMS Partners Inc., Julie’s expertise is in Retirement Management. As a financial advisor, Julie specializes in the needs of retirees and pre-retirees. She has worked for over 20 years helping retirees maintain and improve their lifestyle with safe, yet effective strategies. Julie takes the time to get to know her clients and understand their financial needs and goals. She will review their investments and discuss any recommendations in order to meet their goals. Julie has been recognized for her expertise in IRA planning and distribution. Julie is the consummate professional keeping up to date on all industry and tax law changes. She works closely with tax accountants helping them understand retiree’s investments. Julie has developed numerous courses and seminars designed to help seniors in all aspects of financial planning. Julie holds a Series 65 and is an Investment Advisor Representative as well as insurance and securities licensed. Julie was a state manager for Physicians Mutual Insurance Company for 8 years. She spent a great deal of time with GE Capital in their Long-Term Care division.